5.00 out of 5 , based on 3 reviews. Divi WordPress Theme, the most popular multipurpose theme out of Elegant Theme’s bucket is feature rich and elegant too. It comes with Divi page builder where one can drag and drop different elements to build a page. It also poses multiple layouts and pre-designed skins to create a rich business page or sales page or testimonial page etc. Divi is compatible with WooCommerce, BuddyPress, bbPress and Events plugins. It is also having good coding standards which is very common with themes from Elegant Themes. Fully responsive theme with almost all the elements required to build a good website is supported by Divi. Even after having so many features, Nick and his team keeps releasing new updates for the theme with additional features. Apart from stylish ways to showcase images, Divi is also having skins to embed audio player, video player. Some of the elements there in Divi are such as slider, image gallery, audio player, video player, tabs, accordion, testimonials, pricing table, number counter, circle counter, social follow, call to action, contact form, login form, maps, columns and many more. In order to make your product reach to the people, the best way can be by building a website. The main goal for building any site is to make it appealing and to attract more visitors to the site. This can be easily achieved by selecting an appropriate theme that will best suit you site. I was planning to build a corporate website for my product and was searching for the theme that is very flexible and can be easily customized as per the requirements. 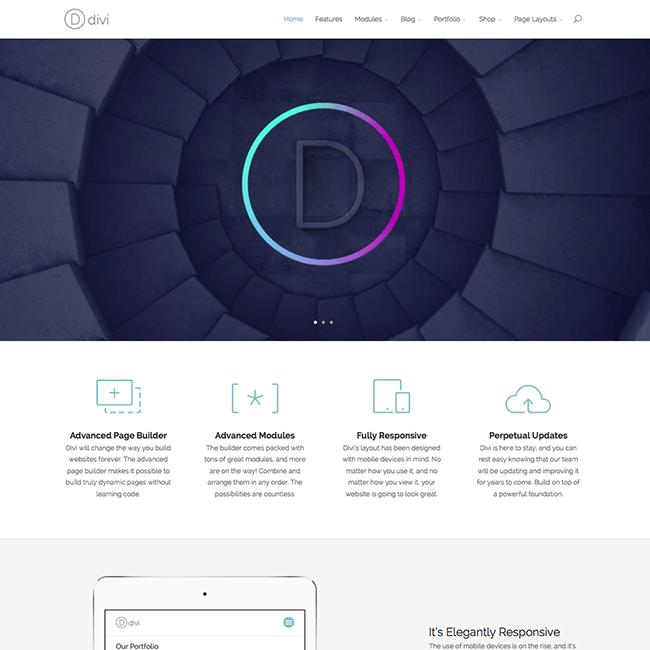 By going through many of the themes and its demo, I came across Divi Theme by Elegant Themes. With the rigorous testing from weeks I reviewed this theme very closely. Based on certain key factors I have reviewed the theme that will indeed help all my fellow friends to make a right decision in the future. For building any of the website, the design and layout of the site plays a very important role for it. It should give you the flexibility to customize it as per the requirements. The site will indeed look very appealing if there are different options that are provided for adding images, videos, fonts etc. This theme is bundled with so many options and gives you the control over the settings. It provides with The Divi Page Builder that supports 40 Content Modules that can be easily dragged and dropped in order to build the site that you want. To list a few of the modules provided by it is Pricing Table, Portfolio, Number Counter, Video Slider, Contact Form etc. I was really impressed by all the options that allowed to have the control on all the settings and also provided with a very good user experience. One of the main thing of concern for me was the theme selected should be responsive that will allow the users to easily access the site easily from anywhere and anytime. Divi is a very responsive theme that gives a good browsing experience to the visitors and allows to easily conform to the user’s screen. There are many theme options that are provided by the Divi theme with the full control over Settings. It allows you to customize it as per the requirements without any technical knowledge that is required for it. It provides with 4 Footer Areas that can be displayed and also helps to create the new widget area that can be easily used in the sidebar module. The Divi Builder allows to change the structure of the page very easily by changing the elements into the building blocks. It can be easily customize as per the requirements that also gives you the full control over the settings. There are 40 Content Modules that are provided that can be easily dragged and dropped to change the appearance of the page. Save to Library: This option allows you to save the current page to the Divi Library so that it can be used later very easily. One needs to enter the layout name for it. Load From Library: One can easily load the layout that was saved in the past from the library. It also allows you to select the predefined layouts such as About Me, About us, Homepage Shop, Contact Us etc. for building any site. Clear Layout: It will help you to clear all the content of the page and give you the fresh start in order to build any page. Standard Section- This section will help you to add the rows. Fullwidth Section- This section will not have the rows, it will be full width. Specialty Section – This section will provide the horizontal row that will expand the height of the entire section. Add From Library – It will load the section that you have saved in the library. The choice can be made accordingly for it, also it allows to load a layout from the library if it is available. General Settings: All the settings related to Title, Button URL, Button text, Background color, Content, CSS ID and Class can be added from here. Advanced Design Settings: The settings related to font and color can be done from here. It consists of options such as Header Font, Header Font Size, Header Text Color, Body Letter Spacing, Border Image etc. Custom CSS: The CSS for Call To Action Element can be applied from here. The above settings such as General Settings, Advanced Design and Custom CSS are same for all the modules. Some of the modules are: Accordion, Audio, Bar Counters, Blog, Blurb, Call To Action, Circle Counter, Code, Contact Form, Divider, Email Option, Login, Map, Number Counter, Portfolio, Post Title, Pricing Tables, Shop, Testimonial, Text, Video, Video Slider etc. There are different Settings and shortcodes that are provided for the particular page that will indeed ease the work. Page Layout: The layout for the page can be selected from here. One can select the Right, Left or Full width sidebar from this option. Hide Nav Before Scroll: It will give you the option whether to hide the navigation before the scroll or not. General Settings – One can easily set the Logo, Favicon, Grabbing first post image, Blog Style Mode, Shop Page Layout, Mailchimp API, Social Media icons, Number of posts per page, Date format, Responsive shortcodes, Google Fonts subsets and Custom CSS from here. Layout Settings – There are 3 different tabs that are available for it such as Single Post Layout, Single Page Layout and General Settings. a) Single Post Layout will contains Choose which items to display in the post info section, Show comments on posts and place thumbs on posts. b) Single Page Layout will contain Place thumbs on pages and Show comments on Pages. c) General Settings will contain Post Info Section and Show Thumbs on Info Pages. a) Site Identity: The site title, site title and the icon can be added from here. b) Layout Settings: All the settings related to website content width, gutter width, section/ row height and Theme accent color can be selected from here. c) Typography: All the settings related to typography such as body text size and height, header text size and letter spacing, header font style and color can be selected from here. d) Background: It will give the options to stretch the background image, background image can be selected from here. a) Header Format: Settings related to Header style, whether to enable vertical navigation and hide navigation until scroll can be done from here. b) Primary Menu bar: The settings related to primary menu can be done from here whether to make it full width or to hide the logo image can be done from here. It will also consists of options such as Menu height, Logo max height, text size, letter spacing, font, font style, background color, drop down line color and text color and drop down animation can be selected from here. c) Secondary Menu bar: The settings related to the secondary menu can be done from here, whether to make it full width, text size, letter spacing, font, font style, background color, text color and drop down animation can be selected from here. d) Fixed Navigation Settings: All the settings related to fixed navigation can be done from here. It will consist of options to hide logo image, fixed menu height, text size, Primary menu background color, Secondary menu background color, Primary Menu link color, Secondary Menu link color and Active Primary menu link color can be selected from here. e) Header Elements: Settings such as Show Social icons, search icons, phone number and email can be entered here. Footer – Footer will consists of the following settings. a) Layout: The column layout and footer background color can be selected from here. b) Widgets: All the settings related to widgets can be done from here such as Header text size, Header Font Style, Body/Link text size, widgets text color, link color, header color and bullet color. c) Footer Elements: Whether to show social icons can be decided from her. d) Footer Menu: All the settings related to Footer Menu Background color, text color, footer menu active link color, letter spacing, font style and font size can be selected from here. e) Bottom bar: The background color, text color, font style, font size, social icon size and color can be done from here. Buttons – All the Settings related to buttons can be done from here, it consist of button style and button hover style settings. Blog – All the settings related to the particular post can be done from here. It will consists of options such as Meta Text Size, Meta Line Height, Spacing, Header Font Style etc. Mobile Styles – All the settings related to mobile can be done from here such as tablet, phone and mobile view. The section height, row height, body text size and header text size can be adjusted from here. Color Schemes – The color scheme for the theme can be selected from the drop down. Menus – All the settings related to menus of the site can be done from here. Widgets – All the settings related to footer widget area can be done from here. The speed and time taken to load a particular website plays a very important role. Because the visitors will not wait for long in order to visit a particular site. So I decided to check the Google Page Speed of the Theme. The page speed for mobile devices was 72/100 and for the desktop it was 87/100. This is one of the best theme that I have reviewed so far. It provides with so many theme options that gives you the full control over all the settings. One can customize the theme accordingly according to the website they want to build. Also one should not require much technical knowledge to use this theme. I really like the ease of use of this theme with amazing options to customize it. I feel that it will hardly take an hour or two to get familiar with its options and you will be able to build the site in no time. Provides with the Divi Builder in order to create different layouts. 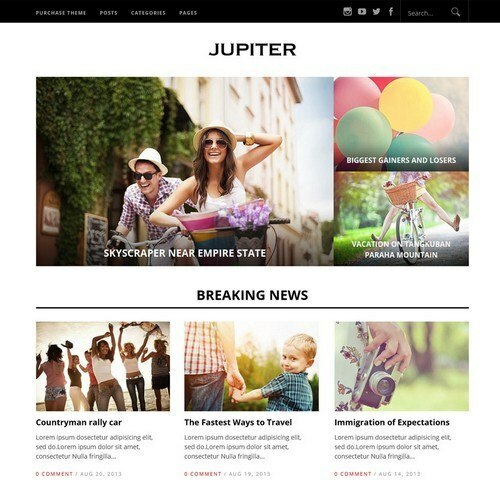 There are different pre-made layouts that are provided by this theme. The code of this theme is well designed by keeping SEO in mind. It allows to create ones own widgets. Allows to easily add the code of integration without touching any line of code. 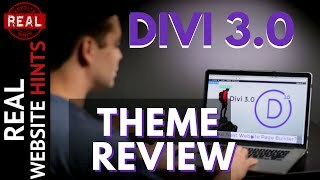 I am using Divi since a long time and used this theme as framework for developing many sites for my clients. 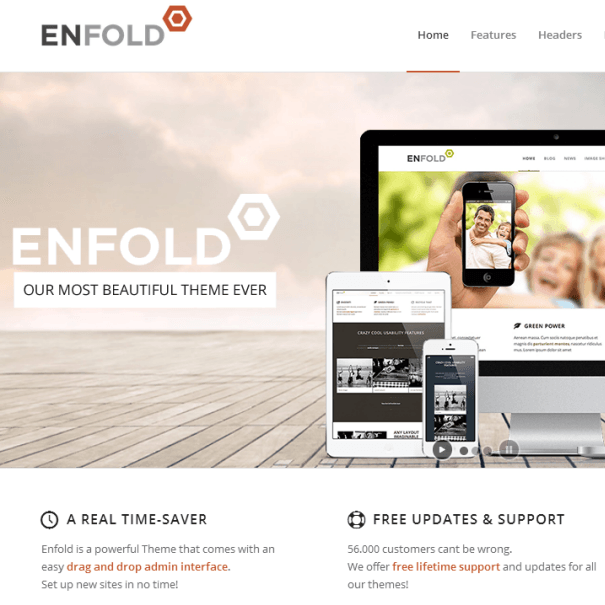 A great theme with lot many features and smooth operations. As it is a multipurpose theme, I used it to build corporate sites, eCommerce site, Personal branding platform and even in one case, an event management site using few plugins. 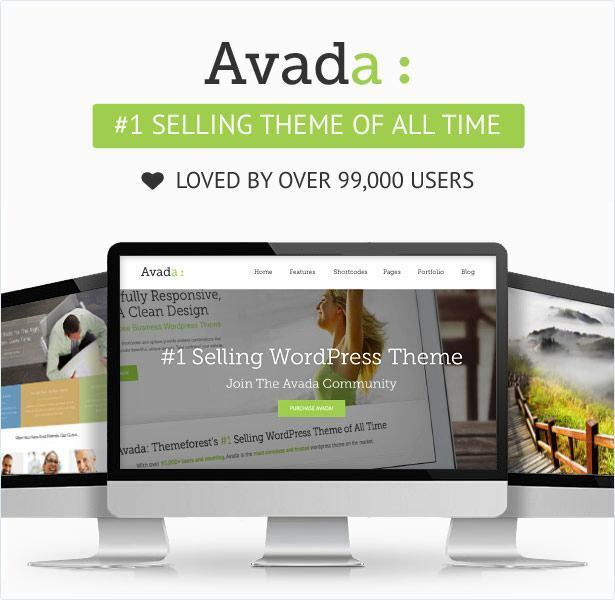 No need to use lot many plugins such as Pricing table, Gallery, Tab etc.